Valley resident Louis Menendez, a gifted professional pianist, will perform in two public concerts in April. On Friday, April 15th, beginning at 7:30 pm, Louis will perform in a "Classical Cabaret" concert at the Three Arts Cafe in the lobby of the historic Hale Bathhouse, 341 Central Avenue. Tickets are $15.00. The concert will feature soloist singer Lisa Daehlin performing French, German and American Art songs. 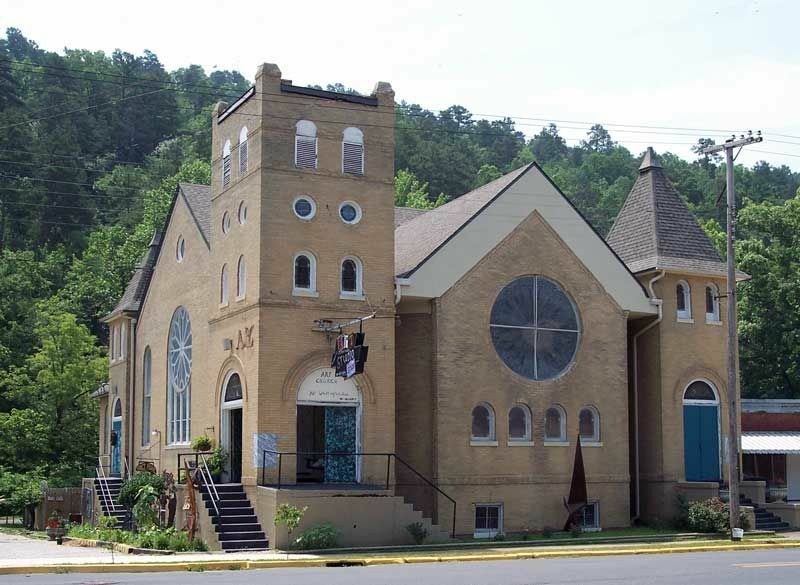 And then on Tuesday, April 19th, beginning at 7:30 pm, Louis will be one of the performers in "A Lenten Scared Classical Choral Concert" at the First Presbyterian Church, 213 Whittington Avenue. The concert will feature the music of Bach, Hayden, Mozart, Mendelssohn, Brahms, Dubois and Titcomb. 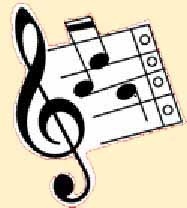 The performers include soprano Deleen Davidson, flutist Shelley Martin, Steve Suter on Trombone and Louis on organ and piano. Admission is free, but donations are welecome. Both concerts are sponsored by THE MUSES Creative Artistry Project, a tax-exempt non-profit organization that preserves classical art and music through performances and education. For more information about the THE MUSES, visit their website at www.themusesproject.org. As part of the downtown Hot Springs' "Gallery Walk," the Valley's own Artchurch Studios (301 Whittington Avenue) will host a "New Artists Show." The show will feature works by the new house artists at the Artchurch. Come by and enjoy the displays and stick around a very special event! Sunday April 10th, 3:00 - 4:00 pm. The Artchurch Studios will host a public concert to benefit the Garland County Humane Society. The Hot Springs Flute Ensemble will play on the Cathedral Gallery Stage upstairs. The Artchurch presents a live concert by "The Dirt Daubers" with local guest artists Amanda Avery and Ben Robbins. This event is part of the Artchurch's "Listening Room Performances-- no cell phones please" House Concerts. On the Cathedral Gallery stage (upstairs) and with its amazing sound, this semi-acoustic concert is sure to be a night to remember . Admission: $8.00. Limited Seating. In addition, the Artchurch provides a variety of dance, performance and art classes for people of all ages and abilities. For more information, call the Artchurch at (501) 463-9890. Plans for the Neighborhood Association's fund-raising Rummage and Doughnut Sale continue apace. 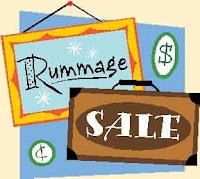 Reminder: the sale will be in the community room at the First Presbyterian Church on Saturday, April 9, 2011 from 8:00 am to 4:00 pm. If you have any items you would like to donate for the sale, please call Mark or Verna at 623-4283. They will arrange to pick up your items. We welcome any items you can donate. The Association gives generously to several local charities during Thanksgiving and Christmas and any funds we raise will help toward these worthy causes. So please look around your house and garage and donate any saleable items. Your participation helps others who are less fortunate. And we hope to see you at the sale! Between 1900 and 1930, Hot Springs was one of the nation’s premier spring-training destinations for professional baseball. While Hot Springs’ variable weather meant occasional cold snaps (especially when compared to present-day spring-training locales in Florida), Hot Springs was nevertheless deemed a good training site by team owners and players alike. Unlike Florida, Hot Springs wasn’t overrun with mosquitoes (a problem insecticides would begin to tackle in the 1930's). And compared to more northern climates like Boston, New York and Chicago, the weather was significantly warmer in Hot Springs in early and mid-Spring. During this thirty-year period, most of the original sixteen Major League baseball teams, at one time or another, held their spring training in the Spa City. The Whittington Valley, located close to the downtown hotels and easily accessible by trolley, was home to many of team training sessions and frequent exhibition games. 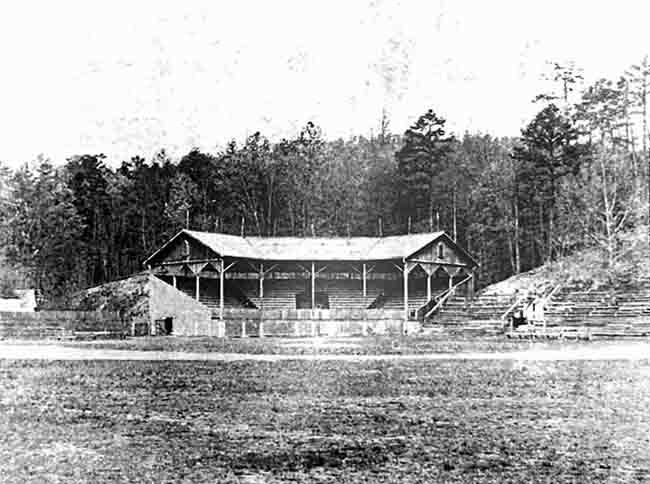 The Valley had several practice sites and one regulation-sized baseball field, Whittington Park, with covered spectator stands and open-air bleachers. Whittington Park's Baseball Field, circa 1920. Recently a group of about one-hundred people gathered in the Whittington Valley to hear how a single home run hit on that long gone but not forgotten ballfield changed the game of baseball forever. At an event sponsored by the Hot Springs Convention and Visitors Bureau, noted baseball historian Bill Jenkinson explained how George Herman Ruth Jr., better known as Babe Ruth, hit a home run that would reverberate throughout the annals of professional baseball for generations. At a press conference sponsored by the Hot Spring Convention and Visitors Bureau, a crowd hears baseball historian Bill Jerkinson explain how Babe Ruth's 1917 St. Patrick's Day home run "changed baseball forever." 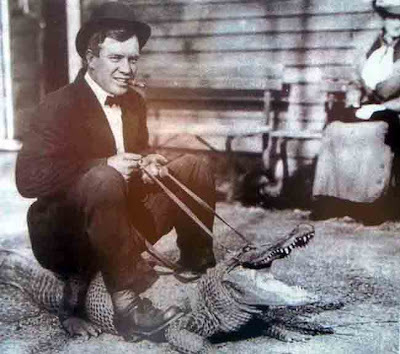 A young Babe Ruth "rides" an alligator at the Valley's Alligator Farm. Photo circa 1920, Photo Credit: Garland County Historical Society. Jenkinson went on to say that from about 1900 to 1920, professional baseball was characterized by low-scoring games. During this so-called “dead-ball era,” the emphasis was upon hitting to get on base and, when appropriate, stealing bases. Home runs did occur; but only rarely. This was partly due to the game rules in place at that time. The ball was softer, making it more difficult to hit home runs. Also the same ball was often used throughout a game--and the longer a ball was in play, the softer it became, making home runs all the more difficult. Finally, pitchers were allowed to manipulate the ball with scuffing and spitballs. For Ruth, that one long-drive hit on St. Patrick’s Day in 1918 foretold of his future as a power hitter and a baseball legend. His days as a full-time pitcher were numbered. As a pitcher Ruth typically played every third or fourth game. But in 1919, upon being traded to the New York Yankees, Ruth became a full-time right fielder, playing in 130 games his first year as a Yankee, which allowed him more opportunities at bat. That year Ruth hit 29 home runs. By way of comparison, during the “dead-ball era” the league leader might hit ten or fifteen home runs. Additional rule changes, such as prohibiting spitballs and requiring more frequent ball changes, played to the strengths of power hitters like Ruth. The next year Ruth hit a record-shattering 54 home runs. Ruth’s tenure as a home run powerhouse would continue until his retirement in 1935. During his 22 year-long baseball career, Ruth would hit 714 home runs--a record that would stand for the next 39 years. Today the baseball field where Ruth hit that historic long-drive home run is no more. 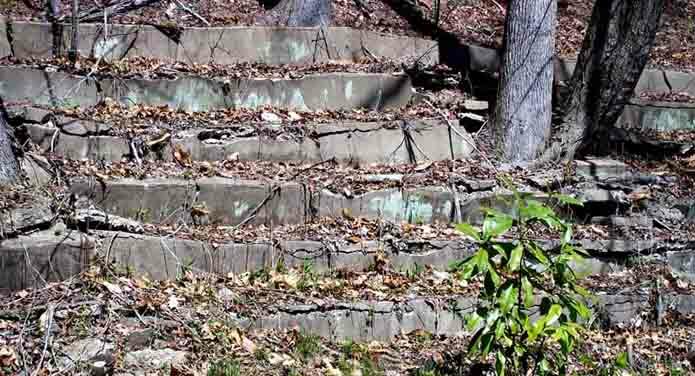 But some of the park’s open-air concrete bleachers (now cracked, badly weathered and overgrown) can still be seen against a nearby hillside. The Alligator Farm where Ruth’s historic long-drive ball eventually landed is still open to the public and delighting visitors. 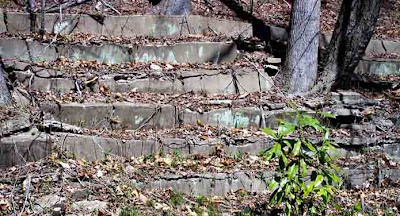 Remains of Whittington Park's open-air concrete bleachers. Much of the baseball field is now gone. The ruined bleachers are the only visable reminder of the site's glory days as a spring-training locale. That long-drive home run, hit here in the Valley almost one-hundred years ago, forever changed the game of baseball. As historian Bill Jenkinson, standing on the site where that home run was hit, recently said, “We’re standing in a place where the culture of our country changed, certainly where the world of sport changed.” And that place is here in our neighborhood, the Whittington Valley. At the WVNA meeting on March 14th, the members voted to expanded the Association's Board to six members and held elections for each office. Congratulations to our new (and returning) Board members. Board members serve one year terms, with nominations in February and elections in March. Again, congratulations to all our Board members and thank you for serving. The City Board of Directors have proclaimed March as Fine Arts month in Hot Springs. Among the planned events will be painting and sculpture displays at various local venues. Live musical performances will provide something for everyone, whether you are a rock and roll fan, a jazz afficionado or a Celtic music devotee. 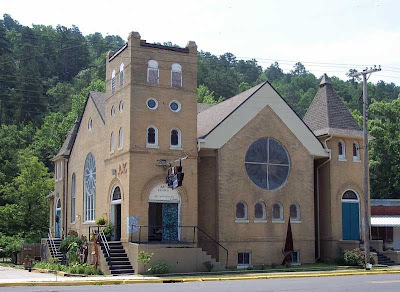 Some of the other scheduled activities include live variety shows (including several at the RayLynn Theater, 701 Central Avenue, Phone: (501) 624-7469), poetry readings, magic shows, cooking demonstrations, film presentations, ballroom dance performances and origami displays. And this list is by no means complete. These events are intended as a city-wide celebration of the diverse and creative arts community in Hot Springs. Most events will occur in downtown Hot Springs. Other venues include MidAmerica Science Museum, Garvan Woodland Gardens, and Fox Pass Pottery. Many events are free while others costs as little as $5. Some activities require advance reservations. For a complete schedule of events, visit the City's website here (note: link opens a new window). Art & Music for Children. All Things Green!, Preschool Art & Music Workshop by Dana Fleming & Becca Ohman. $30 fee. For information and registration call Dana at (501) 318-6779. Film. Avant Garde Film Series. Donations accepted. Rock Music. “Unplugged” Listening Room Concert as part of the Valley of the Vapors Music Festival. Performance by Dana Falconberry and Holly Cole. Admission: $5.00. Doors open at 6:00 pm and the concert begins at 7:00 pm. Rock Music. “Unplugged” Listening Room Concert as part of the Valley of the Vapors Independent Music Festival. Performance by Nora O’Connor. Admission: $5.00. Doors open at 6:00 pm, concert begins at 7:00 pm.